In every sense of the word, medical care is a hotly debated topic within the United States. In the midst of this growing socioeconomic disparity, charities like The Caring for Children Foundation of Texas are committed to improving children’s lives with their innovated Care Van Program. With the help of host sites run by community organizations, more than 500 volunteers, corporate sponsors, generous individual donations, and strong support from its clinical dental partners, the Care Van Program has been able to provide immunizations and oral healthcare to some 25,000 children a year in over 60 counties across Texas. The Care Van Program also reaches out to local schools to provide free oral screening and non-invasive treatment at no charge to children who may not receive this care otherwise. The Care Van Program works with local community partners and volunteers in Texas to identify neighborhoods for Care Vans to visit. In the past ten years, the Care Van Program has provided preventative healthcare to nearly 800,000 children and families to help ease the burden of future medical expenses. Children have received life-saving vaccinations and immunizations with the help of individual donors. According to the CDC, for every $1 spent on each of the 11 vaccines given routinely to children, our country saves $10.10 in future medical expenses should a child fall ill from certain diseases. One hundred percent of the donor’s tax-deductible donation goes to providing health education, immunization resources, nurses and medical supplies needed to operate the Care Van® Program annually. 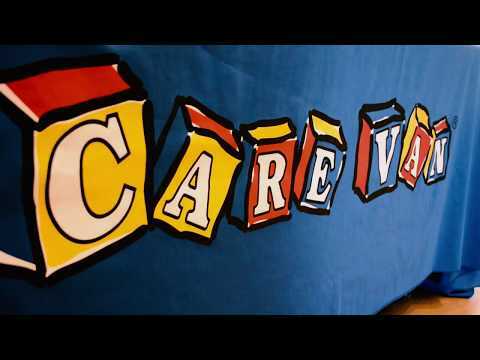 The Care Van Program is proud to have Blue Cross and Blue Shield of Texas serving as the statewide founding sponsor, providing all administrative expenses for the Caring for Children Foundation and Care Van® Program. The foundation encourages all forms of gifts, from corporate sponsorships for our van fleet to in-kind donations of medical gloves to printing forms and health education materials for families. Individual donors can also double or triple the number of children helped through one donation by enrolling in your employer’s matching gift program. Together, we can build healthier futures, one child at a time! As The Caring for Children Foundation of Texas's workplace giving partner, America’s Charities can help your company design and implement a program centered on supporting their work - through workplace giving campaigns, employee fundraising, cause-focused signature programs, volunteerism, matching gifts, Dollars-for-Doers, In-Kind Giving and other employee engagement and philanthropic initiatives. Click here to request a demo and learn how we can help you do this.